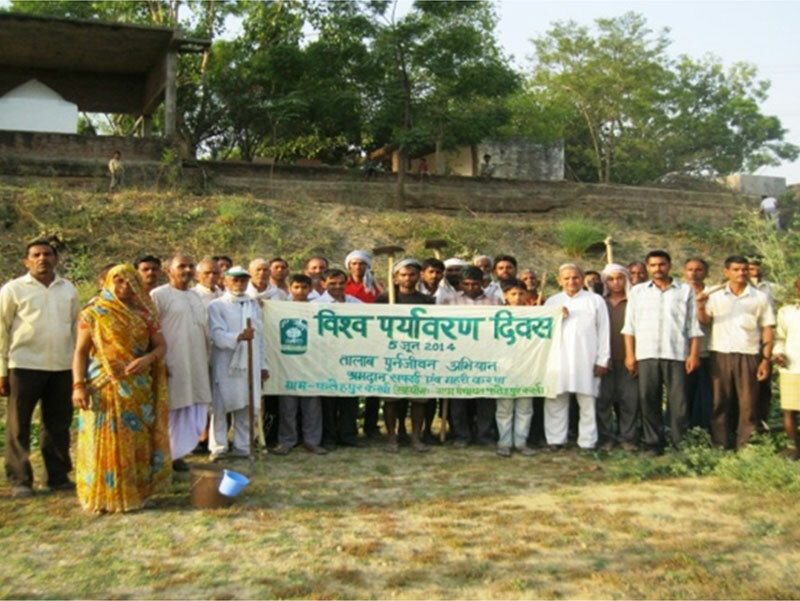 Residents of Fatehpur village donated their time and effort to clean a heritage pond in their own territory to mark World Environment Day. The Talab Punarjivan group joined hands with the enthusiastic residents of the village to bring this project together. 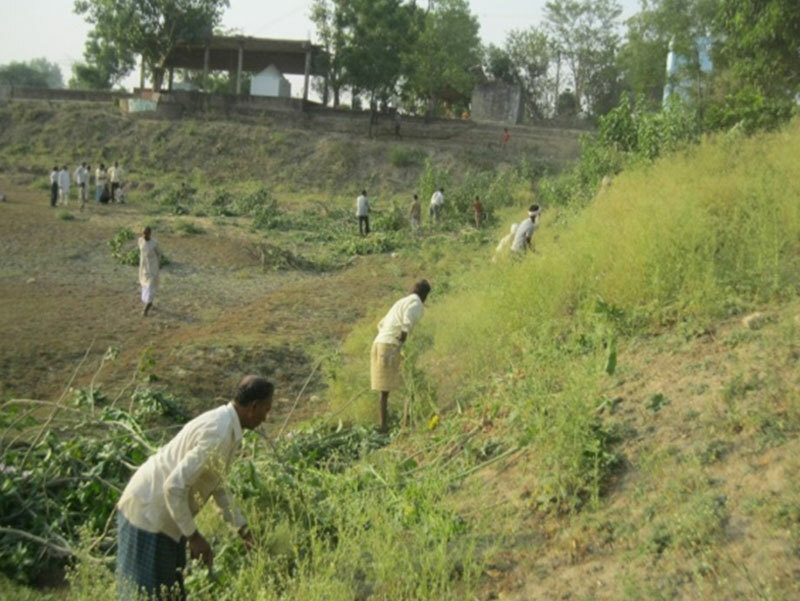 The group worked towards strengthening the retaining boundary walls of the pond and enable conservation of the water without damaging the walls. This project has been successfully implemented by Paryavaran Mitra with unconditional support from residents of the village, NGOs, and the Gram panchayat. Many such lakes and ponds can be saved from pollution if several teams join hands to work together. The level of the water in these lakes can ponds can be maintained at a healthy level as well. Mrs Kiran Bajaj, President, Paryavaran Mitra highlighted the need to save water bodies with heritage value which will preserve the environment as well as our culture. This will also work towards solving the problem of water shortage in many villages. The residents of the village as well as past and current members of the Gram Panchayat appreciated the efforts of the organisation. Members of Paryavaran Mitra held discussions with these groups and appealed to them to keep their lakes clean and beautiful. 1. Village folks cleaning the lake. 2. 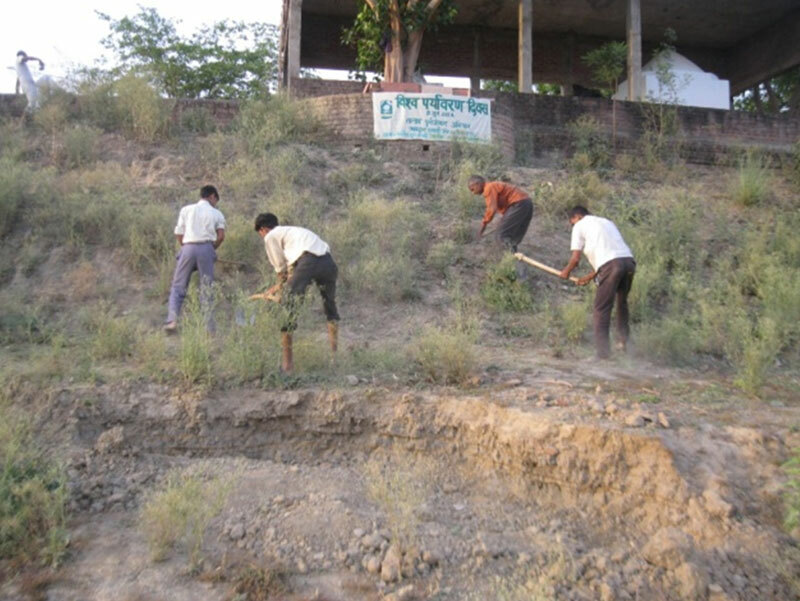 Cleaning of trees in the lake by residents of the village. 3. Members of the village after cleaning the lake. This entry was posted in Parivars Activities by Paryavaran Mitra. Bookmark the permalink.